Where should you go for auto repair in Burleson? 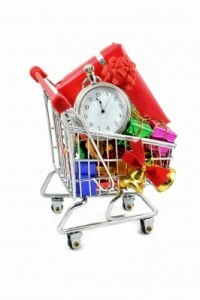 There’s still time to finish your Christmas shopping in Burleson … after your auto repair! Hey, Burleson! Christmas is less than 2 weeks away! Wow! Let that just sink in. Have you finished all of your shopping and preparations for this special holiday? If you’re like many of us, you depend on your auto to take you all over Burleson. There is so much to do to get ready for Christmas! And that requires driving to run each of your errands. But what if your car, truck or van needs repair? That’s going to send you scrambling, trying to find a reputable auto repair shop. You can relax. There’s no need to hunt any longer. We believe we are the answer to your auto repair shop search. Here at B&M Auto Specialists, we take earning your trust very seriously! Having a loss of transportation during this holiday season simply isn’t feasible! As your friendly auto repair shop, we want to make sure your vehicle is safe and reliable. We don’t want you to miss out on any of the special activities that you have planned in Burleson. So, if you’ve been putting off having that strange noise checked out, we suggest you don’t put that off any longer. Instead, schedule an appointment to have one of our qualified team members diagnose the source of that troubling sound. You can have peace of mind, both in Burleson and throughout the DFW area, knowing that our highly trained mechanics will repair your vehicle so you can return to your Christmas shopping and holiday festivities.